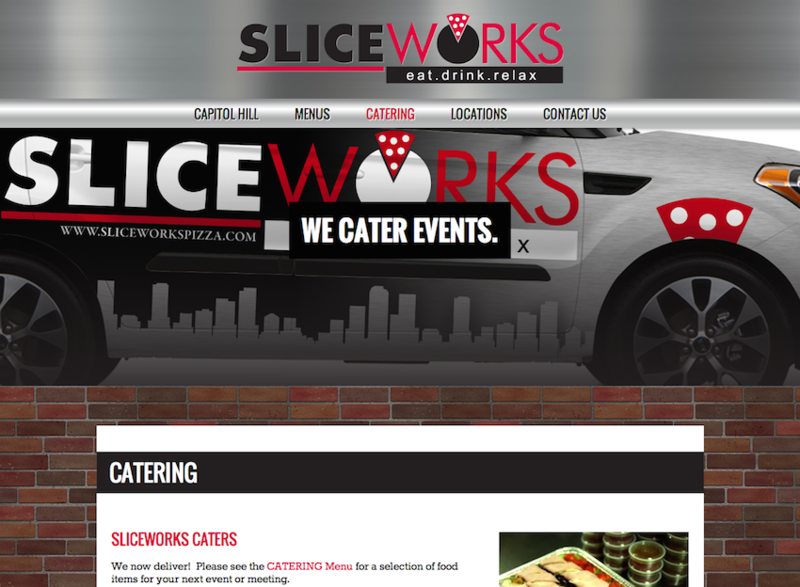 Slice Works Pizza has amazing award winning pizza and the website to match. You don’t get 2013 Best of Denver – Reader’s Choice by the Westword without serving up only the best. 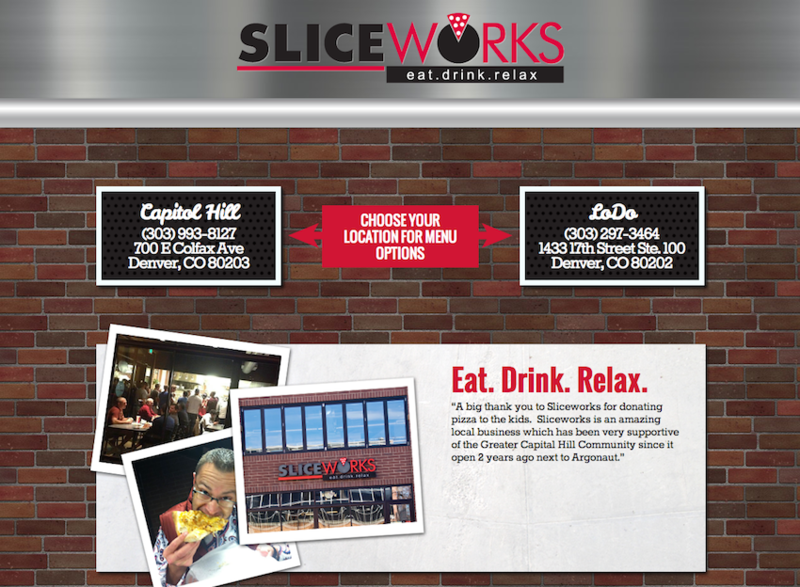 They have two locations in Denver that they service with one website. They wanted something bold, that had a New York feel to it and great imagery to show the intense flavor of their foods. If you haven’t been to either of their locations you are missing out. If you haven’t been to their website to checkout their online menus or find the closest one to you, that is basically a crime on humanity. You can’t go wrong, everything is great.